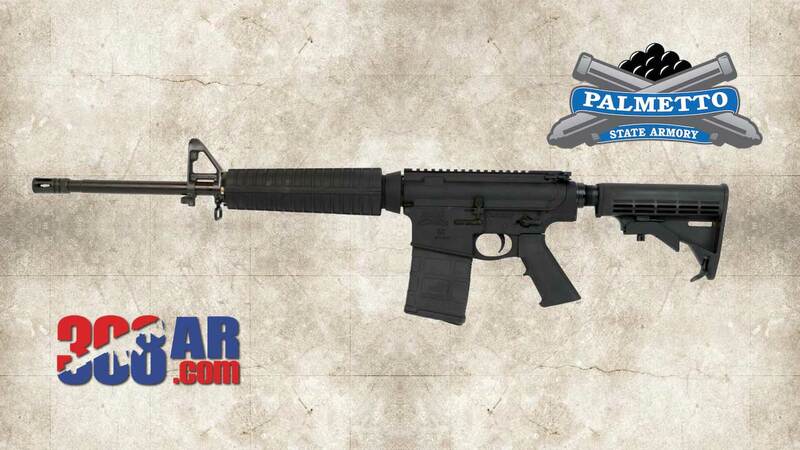 The PSA Gen2 PA10 18″ Mid-Length .308 WIN Nitride Classic Rifle is among the cheapest AR10, 308 AR styled rifles to date. In fact the PSA PA10 is for sale at a price lower than most 308 OEM style rifles. When the PSA PA10 was released a few years ago not all the bugs were worked out of the PSA 308 hardware. Same can be said for many other brands as well. That was then this now. As of this writing Palmetto State Armory is on their second generation of the PA-10 aptly named PSA Gen2 PA10 and there are now many happy owners making themselves known on the 308 AR Online Forum. Note: PSA also offers an ample supply of 308 parts to build your own PA-10 or compliment an existing rifle with a new upper. Buy a spare upper for $149 and get started on a 6.5 Creedmoor AR….you know you want to. Barrel: Machined from 4150V steel, chambered in .308 WIN with a 1/10 twist, mid-length gas, and nitride treated for accuracy and durability. Upper has a front sight post gas block, Classic Midlength Handguard, and a A2-style muzzle device. Lower: Precision machined from forged 7075-T6 aluminum, these lowers are then Black anodize hardcoated to MIL-8625 Type 3 class 2. With an AR-15 style fire control group, and Classic M4 Stock, and classic A2 grip, the PSA PA10 allows the same configuration flexibility as enjoyed by the AR15, and is an ideal platform for the 308 cartridge.